There are numerous different styles of traditional Victorian skirting boards to fit into your home. 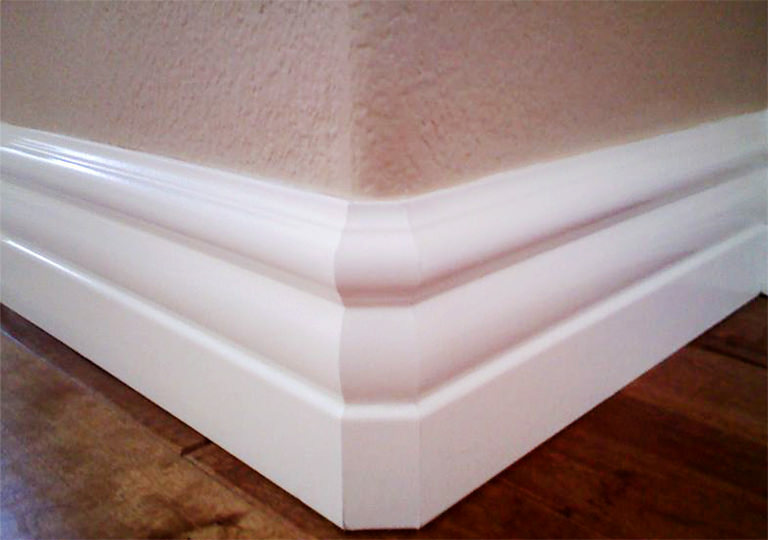 Your skirtings in some places may be damaged or in need replacement. Victorian skirting boards are relatively cheap and may not be worth repairing due to the cost of the materials required. If you are replacing damaged Victorian skirting boards, take a piece of the original skirting to a workshop where they will replicate the profile for you and make the skirting exactly match the damaged skirting board. However, it can be costly on your part as there will be a setup fee. If you have the skills and your own router bits, you can fashion your own skirting. If you are looking for the easiest way to update your Victorian skirting boards, then you should try traditional boards. There are many kinds of conventional skirting boards. If you are going to renovate an old building, you need to get the proportions right. Aside from this, colour is an essential element. Victorians typically use shades of brown and maroon, grained to look like wood. Treat details with importance since they can directly affect how your skirting board will look like. Go to great lengths to ensure your Victorian skirting boards are of the highest possible quality. Find a style of skirting that will closely match the one that you have. In this article, you’ll find information about Victorian skirting boards and how you can make the most out of them for your homes. Commonly, a Victorian reception room would feature architraves, dado rails, and Victorian skirting boards. Remember, each of these has their function. The skirting boards are used to shield the wall against knocks from shoes, brooms, or vacuum cleaners. It may be practical to hide the wiring in the Victorian skirting boards. This can save on costly exercises of chasing walls and removing ceiling to conceal cables. It is tricky even for skilled fitters to keep the walls aligned to the floor. Typically, there will be a gaping space after installing the flooring. Many Tradies use Victorian skirting boards to effectively cover these imperfections. Victorian skirting boards serve as the barrier between the wall and furniture. The boards prevent the furniture being placed too close to the walls where they can create unsightly marks on the paint or wallpaper. Installing Victorian skirting boards can protect the plasterings and wall paints from being damaged. Aside from hiding unsightly gaps, Victorian skirting boards give a more classic and professional look to your overall house theme. These boards can have decorative mouldings, improving the aesthetics of a room as well. You can paint the boards to enhance contrast, making them more noticeable and eye-catching. Analyse the style and age of your house. Don’t just pick a skirting in isolation. Many house designs are ruined because there isn’t a unified theme. Choose the style, door, plaster junctions, and aesthetic that you would like to achieve. If your house has irregular stone or brick design, should you add skirting boards? Many house designers like the idea of exposing a stone wall in the entire living room, especially if it is a conversion of an old stone home. This style of skirting board can be made using Pine, Oak, or sapele wood. The past eras inspired this design through the integration of regency classicism and Greek revival. It can add grandeur to your home since it blends well with most architraves. This style is derived from the interpretations and revival of Middle Eastern and Asian influences. You can observe that this design follows the Georgian architecture. Its two-step design works well with narrow architraves and offers a fantastic effect in any room. Of all the styles of traditional skirting boards, this design is loved by many designers and homeowners. It blends perfectly with other Victorian architrave range. The lines are strong but subtle, making it look glamorous when installed. Combining Victorian skirting boards and architraves produces one of the most popular designs in Australian architecture. Although there are modern designs of skirting boards manufactured nowadays, the traditional skirting boards may remain the preferred option in creating an old and classic look that gives a feel of the character of the home. Inspired by this concept? Hire your professional contractor now through HIREtrades and make your house a stand out with Victorian-inspired skirting boards. HIREtrades is a one-stop online marketplace for connecting consumers and businesses, covering 200+ trades and serving all states across Australia. Visit our dedicated Carpenters page or Get A Quote by filling out our quick and easy form.